Restricted to 180 pack/items(s) only. Autumn Green is similar in shade to sage green. Luxurious, soft & silky with a tight weave for less fraying - our premium 100% polyester satin ribbon matches this big ribbon companies in terms of quality but is much more affordably priced. When it needs to be said with quality and luxury - genuine Paperglitz 60mm Double Faced Satin Ribbon is the perfect choice! 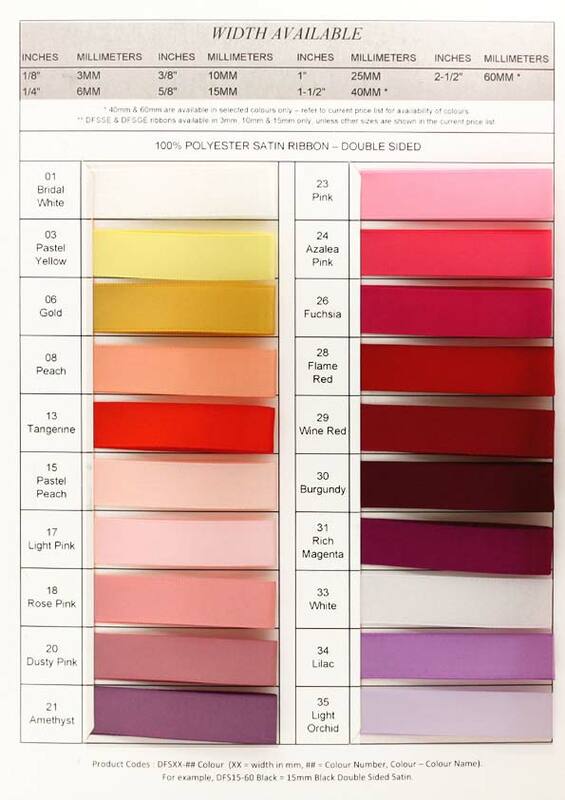 Our double sided satin means the colour and sheen is the same on both sides - unlike cheaper single side ribbons that are different on the reverse side. Since their introduction on 2009, they have proven to be extremely popular for wedding invitations, chair bows, cakes, candles, florists, corporate packaging, ribbon printers, gift wrapping and more. They are now the ribbon of choice for many hundreds of businesses around the country! With high quality, low prices and with over 1,000,000 metres of satin ribbon in stock in Sydney, we have the proper stock levels required to consistently & reliably supply your business. For larger corporate events, talk to us about importing your ribbon for you. With as little as 200 rolls (or 5000mtrs), we can bring in almost any colour you like at a substantial price saving and without any headaches around the quality! This colour is also available in 3mm, 6mm, 10mm, 15mm, 25mm & 40mm widths. 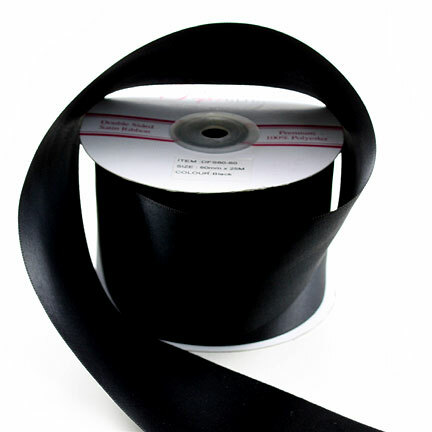 If you need to glue this ribbon to paper, card or other fabrics, we recommend Helmar Fabric Glue. If you need to permanently seal cut ends against fraying, we recommend Helmar Fray Stoppa (both sold separately). Don't be fooled by cheap nylon ribbons and/or single sided ribbons that feel like plastic and fray badly when cut. We have the quality of the big ribbon companies but at up to half the price - it is no wonder our ribbons are so popular. 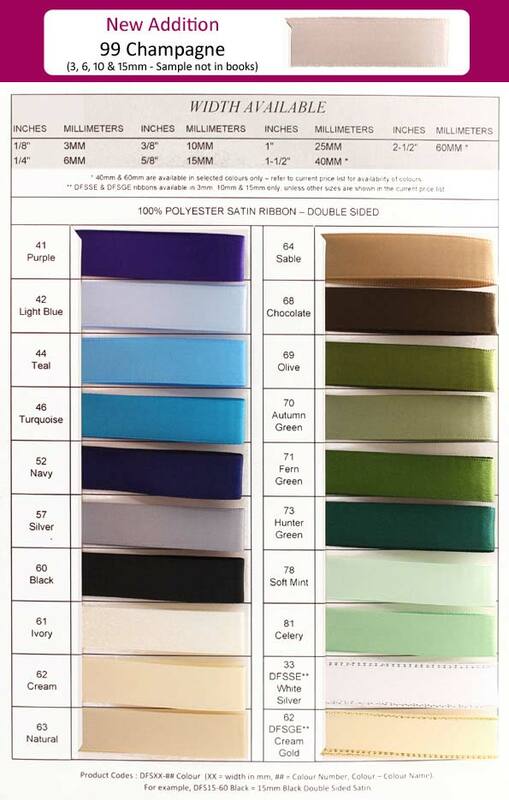 Buy with confidence and specify only "Genuine Paperglitz 60mm Double Sided Satin Ribbons" for your next project.